– Hard drive encryption software locks down the entire contents of a laptop, desktop, external drive, or USB flash drive, including boot sectors, system, and swap files. – Enables encrypted email and secure AIMÂ® Instant Messages. – Creates storage-independent encrypted containers for transport and sharing of specific files using included utilities; PGP Self-Decrypting Archive, PGP Virtual Disk, and PGP Zip. – Includes PGP Shredder which can completely destroy unwanted disk-based files and folders. 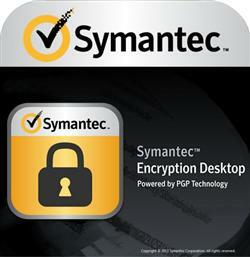 – Drive Encryption can be centrally deployed and managed by Symantec Encryption Management Server. – Secures email without burdening users, to improve compliance with policies and regulations without hindering productivity. – Allows users to easily and transparently share encrypted files and folders, improving data security without impacting user productivity. – Management by Encryption Management Server centralizes creation, deployment and management of data security policies and reporting.